Winning teams come and go, trophies are won or lost, but one thing never changes: the colors of my heart. Through successes and failures, I live and breathe for the red and black. The Milan crest is permanently burned into my soul, with the city flag and the red and black stripes above the year of the club’s birth. When Milan win, my heart burns with passion and pride. When things go badly, my heart burns with pain and sorrow. But one thing that never changes is my devotion to the colors, the colors of my heart. Like so many others, the rich Milan red and the sleek black side by side caught my eye. Something about those colors instantly grabs the eye and stirs the heart. No doubt many of us saw those colors draped on the backs of legends, creating beauty in motion and often bringing silverware to the club, too. But even with poor performances, those colors became a part of me, coursing through my blood and forever changing my heart. More often than not now, those colors grace the backs of players who are not worthy of them. If I consider those who have worn them before, I am appalled and ashamed to watch their performances. And yet still, they wear the colors, so I am physically obliged to watch. I’m not going to lie, it hurts. Yet I support them still by virtue of the colors of my heart. Sometimes I look to the future, and the young players which currently wear the red and black. Statistically, very few of them will ever wear the colors, let alone become a bandiera for Milan. But there is always that hope, that chance. And for now, whether at Vismara every week, or trying to break into the first team, they wear the colors, and I cannot help but admire. As we are always reminded that Milan is “the most successful club in the world,” we must remember that Milan will not win every game, or even win a trophy every season. There is a sense of entitlement that naturally follows when so many players have worn the colors and lifted the trophies. But those trophies weren’t won only by talented legends, there were others along with them who supported the team and played when asked. They weren’t even won as much with the victories alone, but rather the success was forged by the defeat. It isn’t only by showing up in good times that defined the legends and won the trophies. It was the times that they saw defeat that built in them the desire to be better, to become great, and do great things. All for the red and black. This time for Milan seems unprecedented. A management that has formerly thrived on success and been willing to pay for it has lost its way and is embroiled in its own controversy. A manager who is inexplicably still even on the bench makes every game a living nightmare to watch, and every press conference the epitome of chaos and confusion. A team built of players who would have never otherwise been worthy to wear the red and black, a team that is as turbulent as it is young and inexperienced. And so the performances are painful to watch. And yet every game, I am compelled to worship even this lot, because they wear the colors of my heart. This is not the first time it has hurt so much to be a Milanista, and I’m sure it will not be the last. 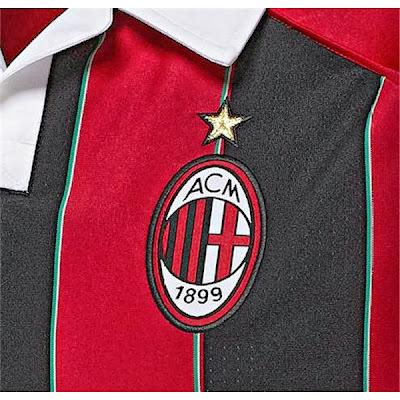 But I cannot stop supporting those colors, complete with the Milan crest, in any form the jersey takes that season, regardless of whomever wears the shirt. It may be a long, hard road back to the glittery days of winning and trophies, but it is a road I am prepared to take, a journey I am sealed to because of the red and black. Until such time as we happen upon success or success happens upon us, I will watch every game, bleeding and crying with the team. Because I know that by virtue of wearing those colors, success is forged in the failures. And with this much failure, how much sweeter will success be when we find it? Besides, I bleed red and black, how could I not support the colors of my heart?